Orgasmatron is the seventh album by the British band Motörhead, released in 1986. It is the only full Motörhead album to feature Pete Gill on the drums, although he also played on the four new tracks recorded for the 1984 No Remorse compilation album. 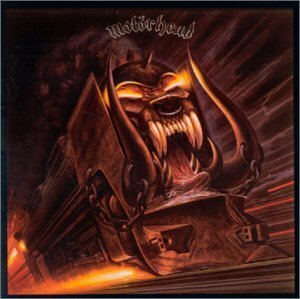 The album's working title was Ridin' with the Driver and later changed to Orgasmatron, it was too late for Joe Petagno to change the cover art and the train design was used. It features some of Motörhead's heaviest songs ("Orgasmatron" and "Deaf Forever") and it is the album (along with No Remorse) that got Motörhead back on track after the critically acclaimed but commercially unsuccessful 1983 album Another Perfect Day. The album reached number 21 in the UK charts. The song "Orgasmatron" was re-recorded in 2000 and was available as an Internet download under the name "Orgasmatron 2000". It was later included on the band's 2003 five-disc box-set Stone Deaf Forever!